Because diabetes is such a diverse disease with many complications, it can cause dizziness in many ways by affecting different parts of the body. Dizziness is an episode of unsteadiness and unbalance as a result of something affecting the brain or ears. However, dizziness can also be a symptom of many things other than diabetes. So if you are experiencing recurrent dizzy spells, you should contact your doctor who will be able to diagnose the cause. Dizziness can be cause by the heart's inability to pump blood up to the brain sufficiently, especially when suddenly standing up from a sitting or a lying position. As the blood momentarily fails to reach the brain, a spinning sensation, unsteadiness or even fainting can occur. High blood sugar levels (hyperglycemia) can cause polyuria, which in turn can lead to dehydration by passing too much fluid out of the body in an attempt to remove excess glucose. With low levels of water in the body, the brain may struggle to function correctly and cause light headedness. Having a low amount of sugar in your blood (hypoglycemia) can lead to dizziness by causing the brain cells to malfunction. Some medications, including those used to treat people with diabetes, can cause dizzy spells. The instruction leaflet that comes with a medicine will list any possible side effects of the drug. 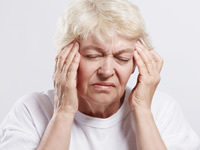 If you are suffering from bouts of dizziness that are recurrent or persistent you should go and see a doctor. They will likely ask questions to gauge whether there is a pattern to the feelings of dizziness, so keeping a record of dizzy spells prior to your appointment may be helpful.